Before taking off on a flight a pilot has two basic navigation choices: visual flight rules (VFR) or instrument flight rules (IFR). If the weather conditions are good enough for flying VFR then the pilot simply looks outside the window to "see and avoid" other aircraft while en route. In both good or bad weather, a pilot can fly IFR. The great advantage of IFR is that an air traffic controller (ATC) is also watching out for your well being. 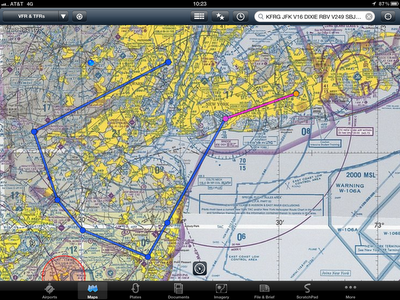 The downside of IFR is that the pilot has to follow the assigned route and the ATC's instructions. Many times, around busy airspace, the assigned route is far from the most direct route. Although Teterboro, New Jersey is only about 31 nautical miles from Farmingdale, Long Island, the ATC assigned route is 131 nautical miles. 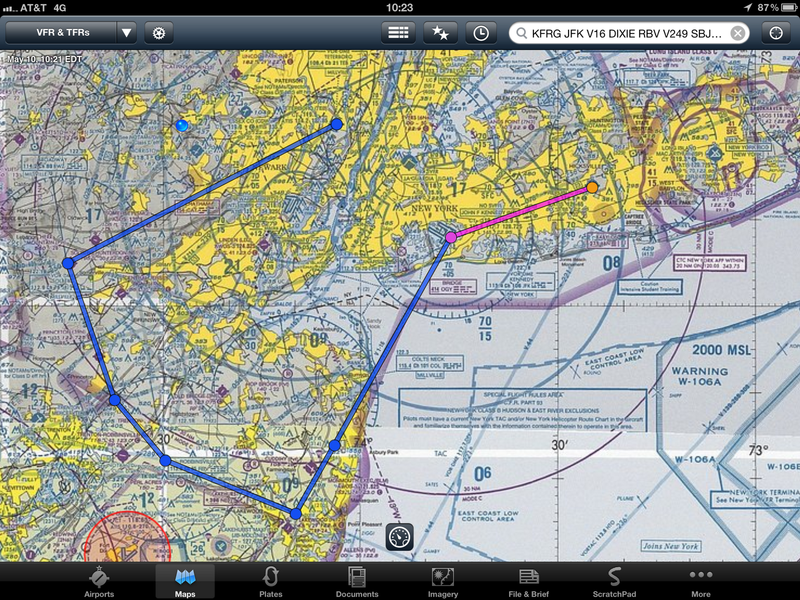 While a direct flight through New York City's airspace isn't likely under VFR, it would certainly be faster than IFR. Love this blog and this entry. Aviation is fascinating to me and this explains the two types of navigation perfectly! Thank you! !